Aailable NOW! 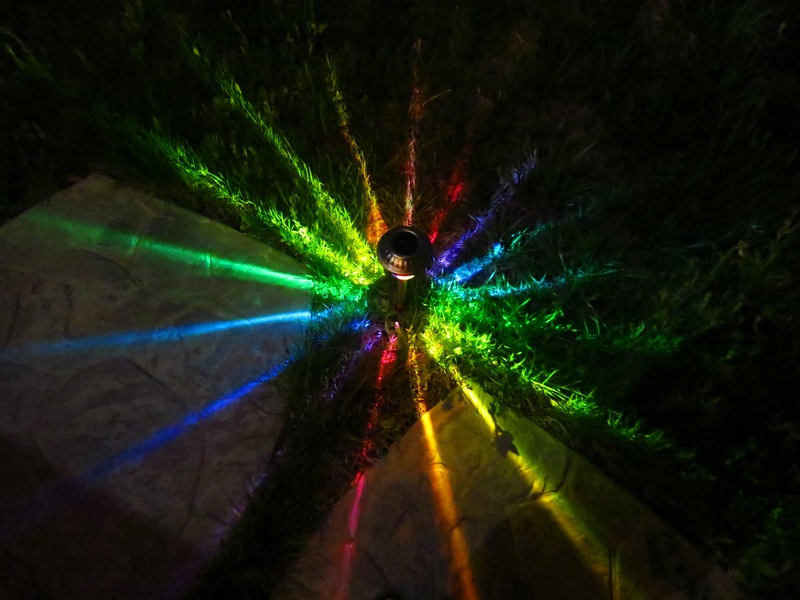 Solar Rainbow Path Lights 3 styles: Plastic Lid/Plastic Lens $22 sale price Metal Lid/Plastic Lens $27 sale price Metal Lid/Glass Lens $38 sale price The Plastic Lights are recommended for camping etc. and last 10-12 hours. 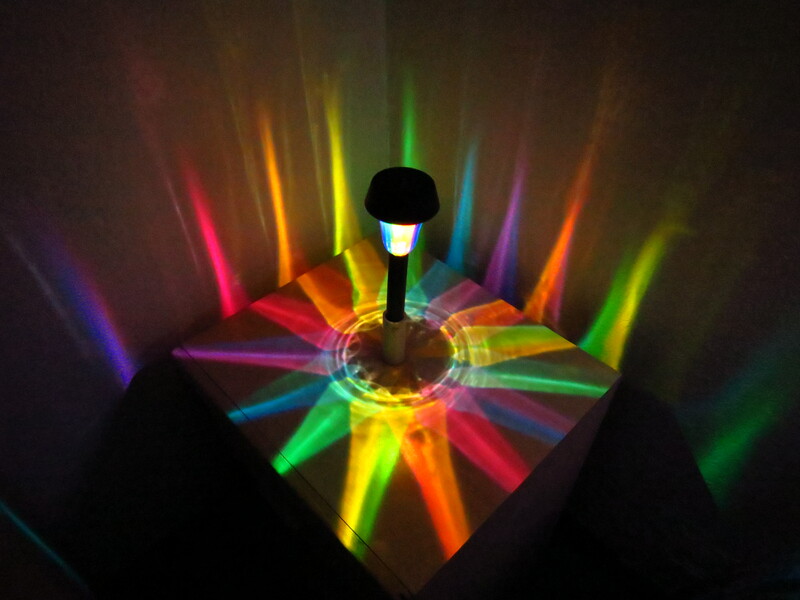 The Glass are twice as bright and last 6-8 hours. We have these available on our web site. 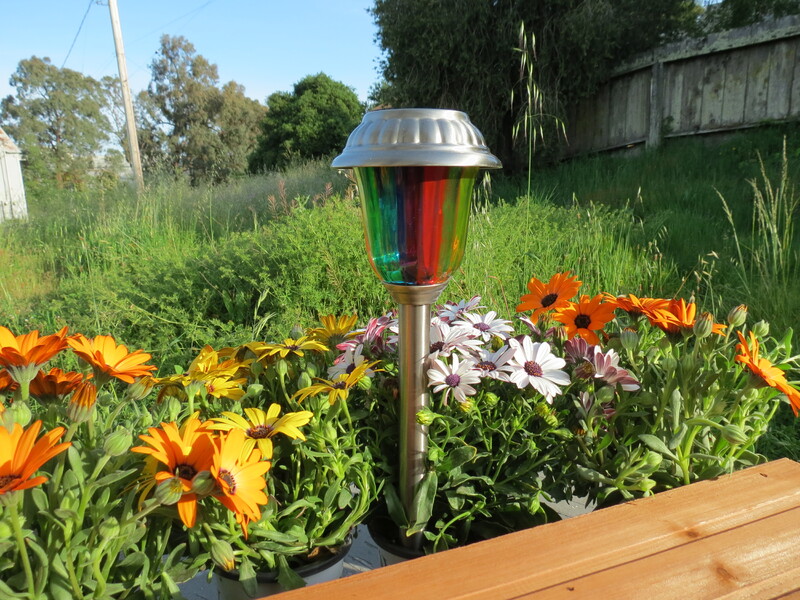 Click here to find all three styles "Solar Rainbow Path Lights" These hand painted lights are created by the same artist that brings you MOOD LIGHTS for inside your home. Won't this be a dazzling display for your entry? 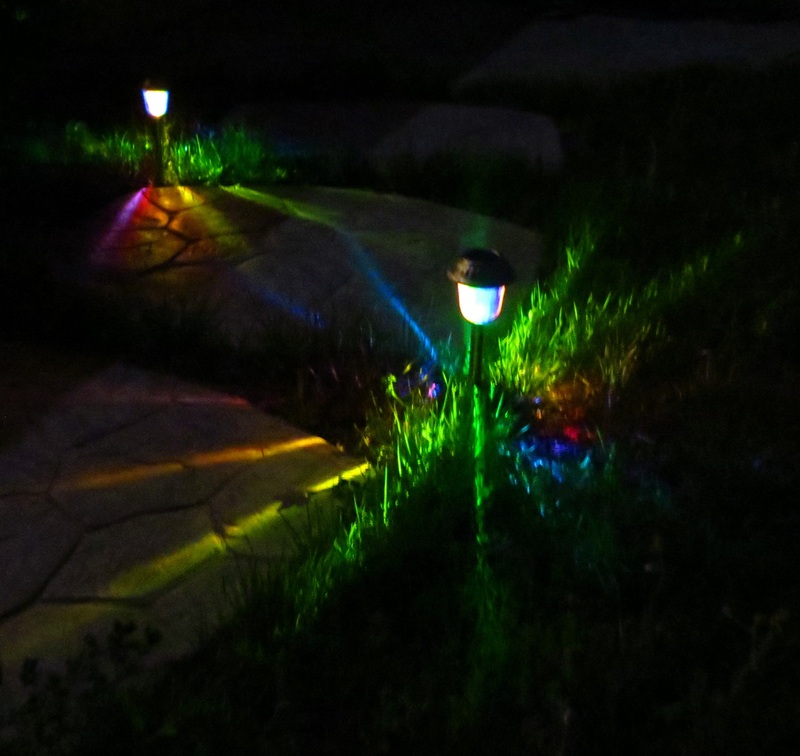 Imagine rainbow colored lights marking your path, porch or plantings each evening.